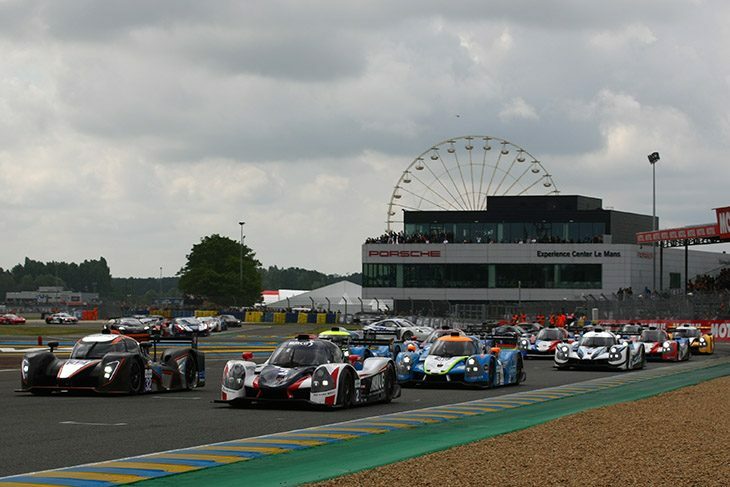 While DC Racing mechanics worked hard to repair the team’s Alpine LMP2 entry ahead of the 24 Hours, the LMP3 squad of Alexander Cougnaud and Thomas Laurent celebrated a win in the Road To Le Mans support race. 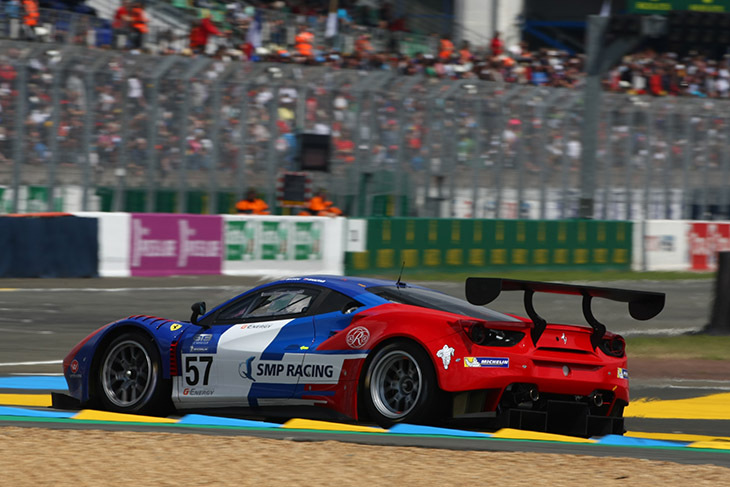 In the GT3 class, one of the 2015 GTE Am-winning driver squad in the 24 Hours, Viktor Shaytar, took victory in an SMP Ferrari shared with fellow Russian Alexei Basov. 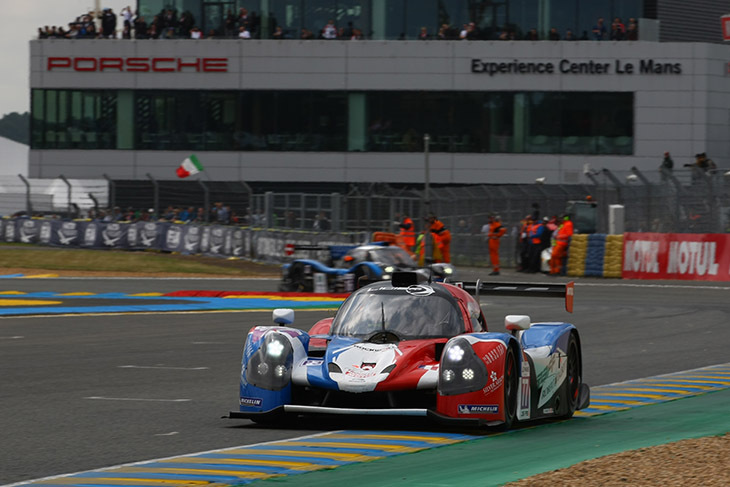 At the start, United Autosports’ polesitter Martin Brundle came under immediate pressure from second-place man Charlie Robertson as the field sped up the hill to Dunlop. 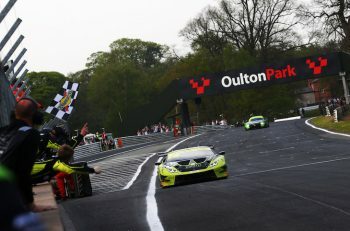 The Ginetta driver made his presence known down the inside into Dunlop and was in the lead as the field charged through the Esses for the first time. Brundle lost another place on the first lap, to James Winslow in the #61 Graff Racing Ligier, but the 1990 24 Hours winner was back into second on the next tour. The order remained static among these three in the first half of the race, but things would change come the pitstops. 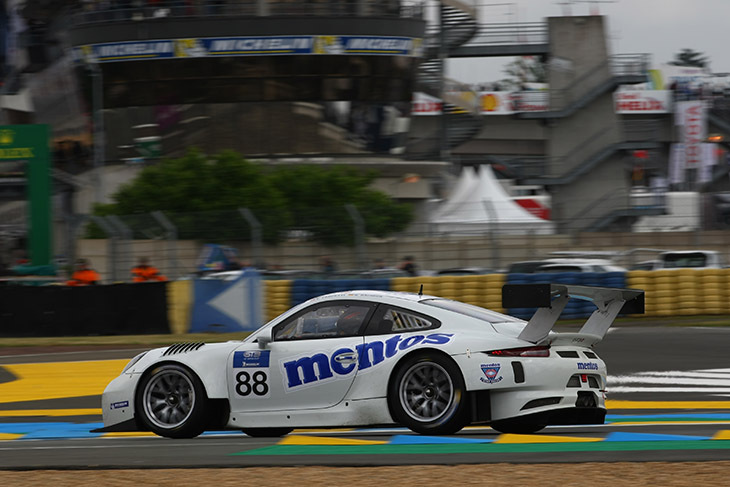 In GT3, polesitter Egidio Perfetti charged ahead at the front in the Mentos Racing Porsche, even managing to put a few LMP3 cars between himself and Basov’s Ferrari in the early stages. 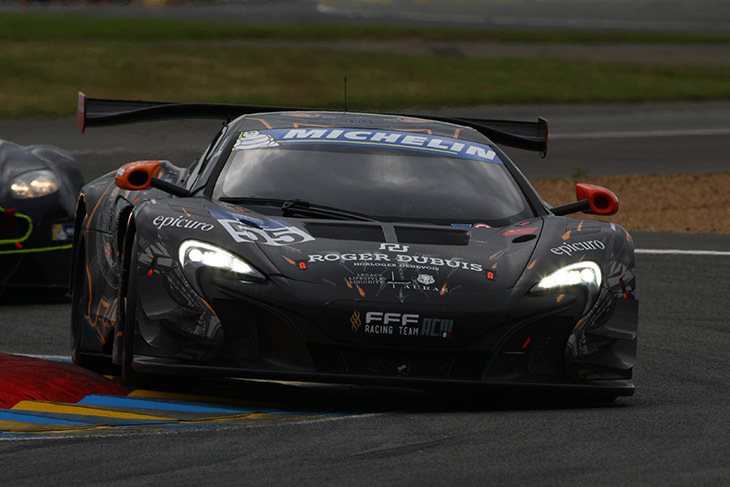 Behind them, the action was fast and furious however, as third-place starter Hiroshi Hamaguchi in the FFF McLaren lost two places on the opening tour. He immediately set about attacking Nicolas Misslin in the #26 Classic & Modern Ferrari for fourth, but also faced pressure from Salih Yoluc behind, in the #34 TF Sport Aston Martin. A mistake from the latter at the first chicane took the pressure off momentarily, while up ahead, Lonnie Martins found a way past Basov for second into Indianapolis on lap five. Next time around, the Yoluc/Hamaguchi batte resumed, with the Aston getting past at the same place. 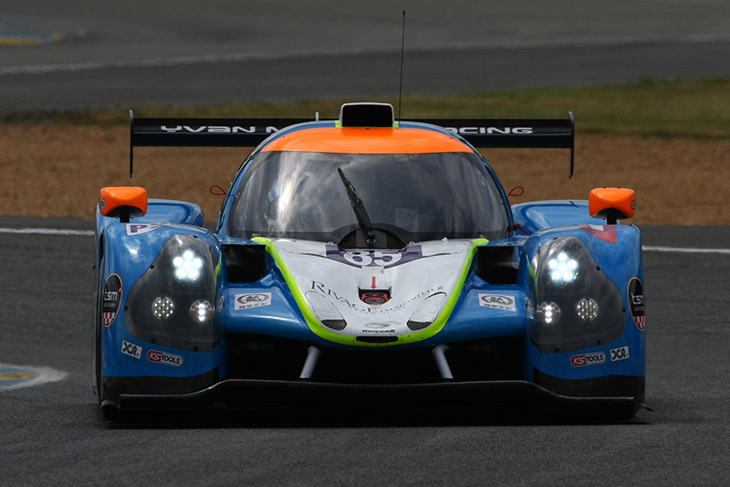 DC Racing won the LMP3 pitstop battle, which also saw United Autosports overhaul the previously leading Ginetta. 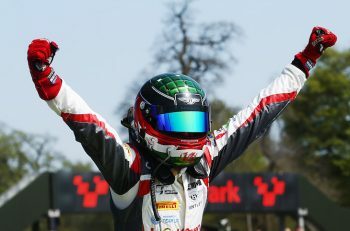 However, a spin from Christian England in the latter car shortly after taking over from Brundle demoted it to fifth – and a similar issue befell Lawrence Tomlinson in the Ginetta at Dunlop. That left Laurent holding a lead for DC Racing that he wouldn’t lose, Romano Ricci lying second in the Y Racing Ligier and Dean Koutsomidis third in the Graff car started by Wilmslow. Christian England would eventually recover to second, but the real mover in the second half of the race was Jon Falb, however. Driving the #77 Graff car solo, the American passed first Koutsomidis and then overhauled Ricci on the final lap to book his spot on the podium. In GT3, Klaus Bachler inherited Perfetti’s considerable lead after the stops, but the Menthos Porsche’s race was then spoiled by a 10-second stop-go penalty for speeding in the pitlane, handing the advantage to the SMP Ferrari, now being driven by Shaytar. The second half of the race saw Euan Hankey on the move in the TF Sport Aston started by Yoluc, getting into a ding-dong battle for third in class with Adrian Quaife-Hobbs in the #55 McLaren (who’d taken over from Yamaguchi). The matter was eventually resolved in favour of the McLaren when Hankey spun, handing fourth to Klaus Bachler, who was on a mission to recover from his car’s 10-second penalty. Everyone then moved up a place when Mathieu Vaxiviere in the Classic & Modern Ferrari (started by Misslin) suffered a heartbreaking last-lap puncture, costing him and the team second right at the end.